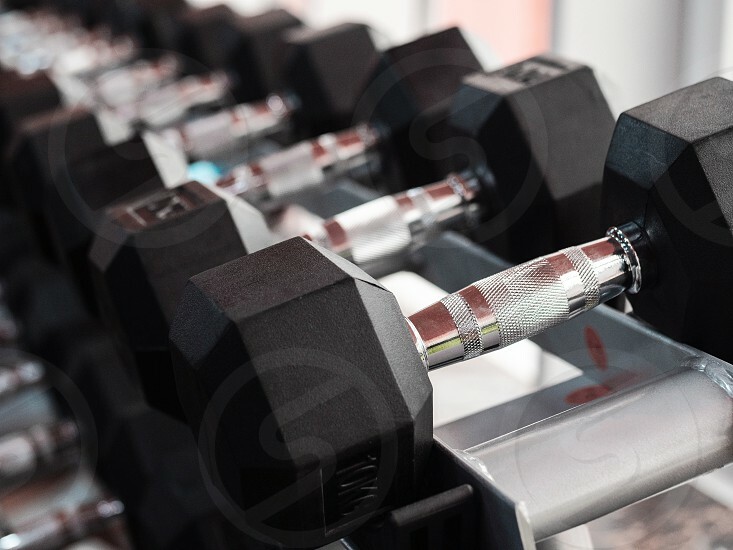 Rows of heavy metal dumbbells on rack in the gym or club. Weight Training Equipment. Sport and health concept.